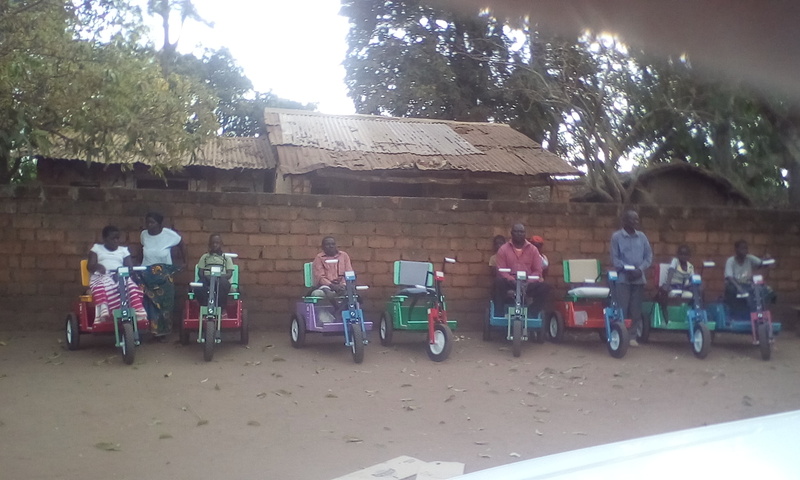 Beginning in 1997 focus was given to the mobility needs of the people in Malawi. First estimates appeared to be wrong; they concluded there were literally millions of people suffering from mobility issues. Although one could easily see alarming numbers of handicapped people crawling along roadways, sitting near the intersections in the cities begging, and confined to areas immediately in and around their village huts, it was hard to imagine millions. What has been learned in the intervening years is that these figures are painfully correct. Today, estimates indicate there may be as many as 5 million. Even if the true figure were only half of that number the problem is massive, and by western standards impossible to comprehend in a population of 18 million. In most emerging nations the lack of financial resources, insufficient supplies, shortage of trained personnel, and the absence of modern technology, are seen most acutely in the medical field. Population growth, widespread disease, including HIV/Aids, Polio, Malaria, TB, and cholera, along with the lack of supplies, equipment, staff, and resources, ravish the system and leave it broken and worthless for large numbers of the population, especially the poor. This is especially true in the rural areas of Malawi where transportation is almost non-existent, dirt paths are the normal way to travel, and village income can be less than $2.00 a day. It is little better in the cities, where most buildings are not constructed for ease of mobility, with second and third floors offices totally out of reach, and with even banks, groceries, schools and government buildings impossible to enter. While canes, walkers, wheelchairs and other forms of mobility are readily available in the west, they are far out of reach for the average village person who suffers to move from place to place. Over the years sourcing and supplying the means of mobility has been a major focus for the Malawi Project. Thousands of canes and walkers have been sent, and distributed nationwide, along with the trailer loads of medical supplies. Two areas where the focus has been especially strong have been supplying wheelchairs and hand-peddled mobility units. For more information on each of these click below, or to read more stories about mobility, click here.